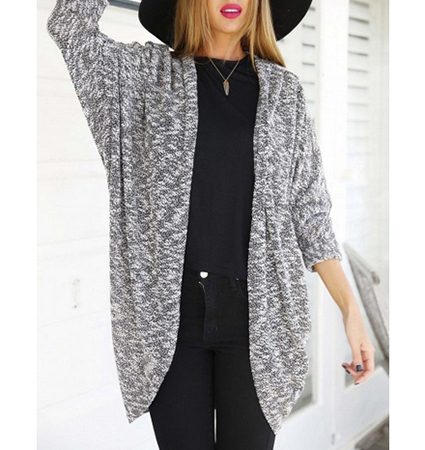 This lightweight women’s wrap can be worn over solid colored garments to provide a whole new look that you will love. It is presented in a beautiful mottled gray and white that looks especially nice over black. It features flattering raglan sleeves that are three quarter length. It was designed to be worn open and has no zippers or buttons. The length ends well below the hips for a figure flattering look. This wrap is machine washable and may be line dried or tumbled dry on a low heat setting. One size fits most.